I have to be honest with you, and to be in the field that I am in this will hit home a bit. The one thing that I regretted not doing in preparation for my wedding was having bridal portraits done. It’s the one time before your wedding that you really get to play dress up, but not only that, you get to see how everything will look all together. It’s time you can spend getting to know your photographer a bit more, but its also time for you to take a break from the hustle and bustle of planning and just take everything in. I realize that bridal sessions arent really a thing up “north.” Yall, you would be surprised how many people I talk to who have never heard of this type of session. But, it’s a southern tradition, and I am all for it. 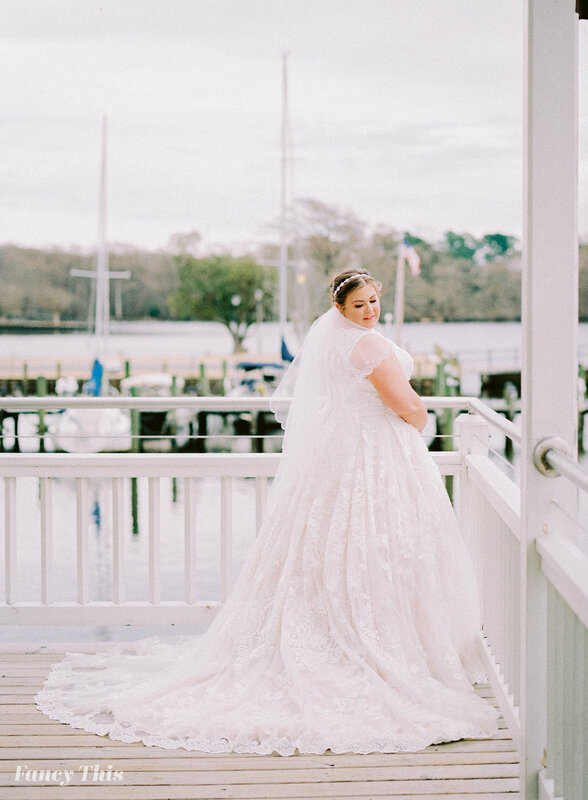 When Deana asked to have her bridal portraits done in Edenton, NC—I about swooned over the phone. Edenton has the sweetest southern charm with its cobblestone streets, old timey doll house homes, and its nestled right on the water. 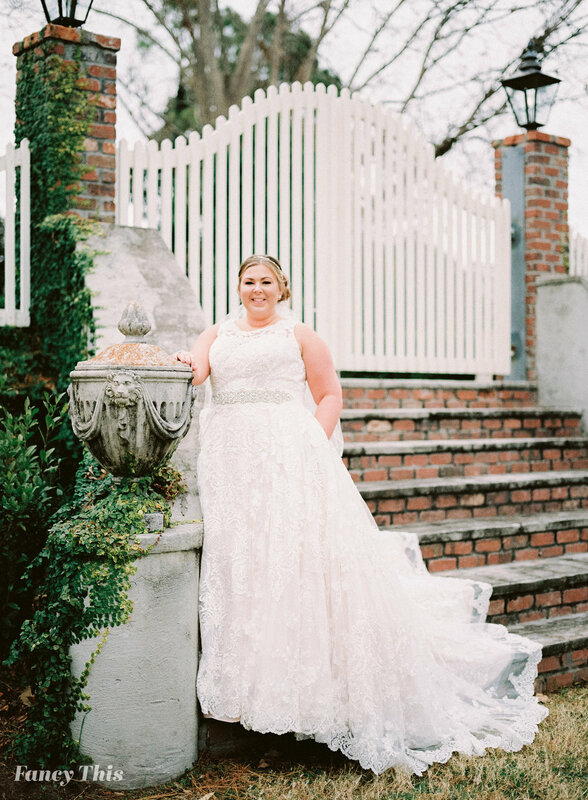 We knew this backdrop would be perfect for Deana, and it paired so well with her traditional lace gown. It was a cold winter day, but we made up for it by having plenty of blankets around for Deana. 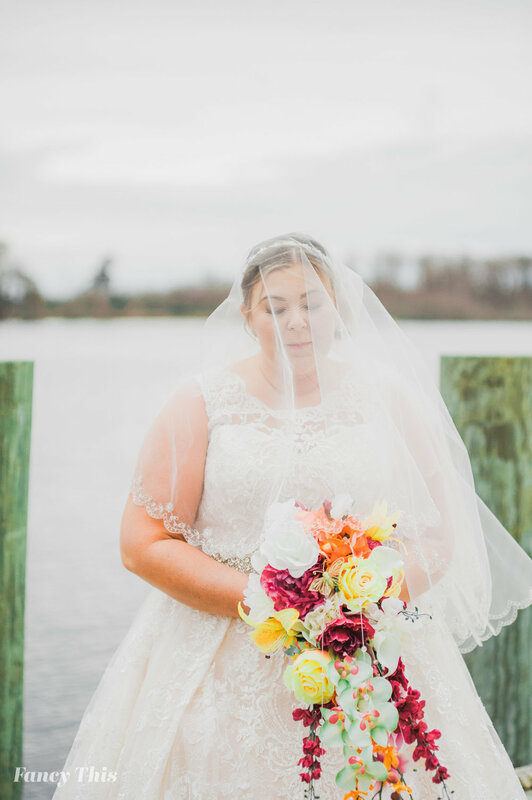 A family friend made the most gorgeous bouquet, and even added in a personal touch—a butterfly, something that reminded Deana of her late mother. I have to admit, I cried a few times during Deana’s bridal session. Having known Deana since high school, this hit me a little harder on the other side of the camera. She brought a photo of her mother in her wedding gown, and we made sure to take images of her holding that sweet framed portrait. To me, this is the stuff that matters more than anything else. And Deana looks just like her mother did—beautiful. She was a site to see all around downtown Edenton. 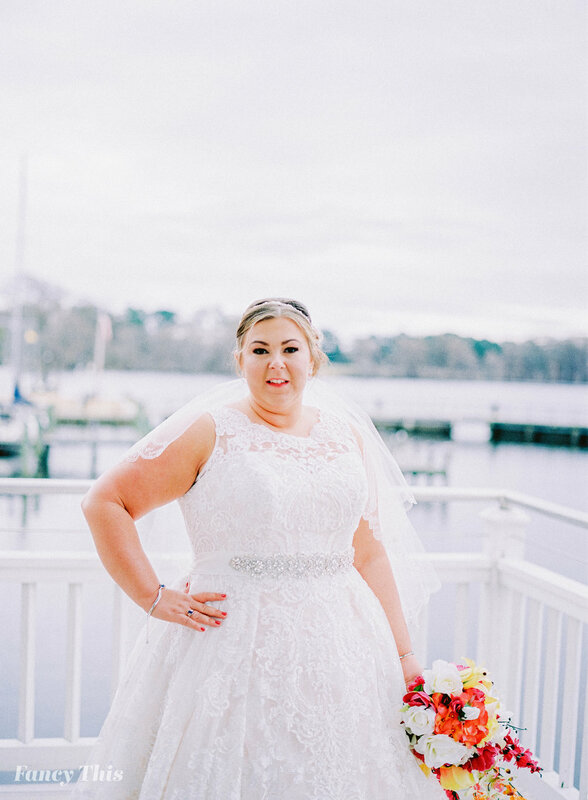 I am happy to showcase some of my favorites from her bridal session. Would love to hear your thoughts!